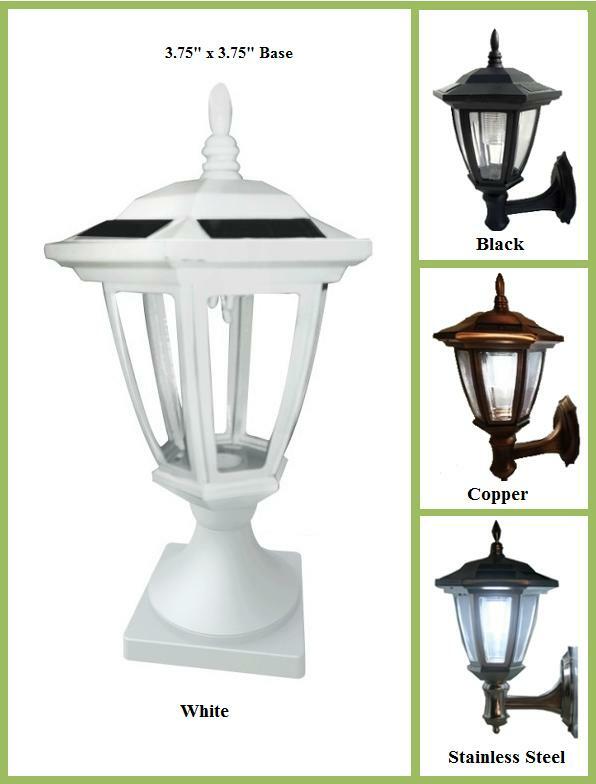 These two hexagon solar light will add light to your deck railing, fence post, entryways or can be mounted on walls. 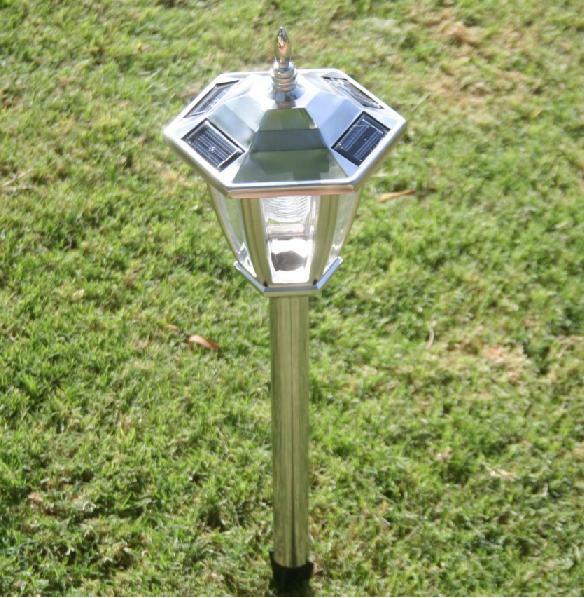 During the day these energy efficient solar lights will enhance your home while they harness the sun’s energy to charge their internal battery. 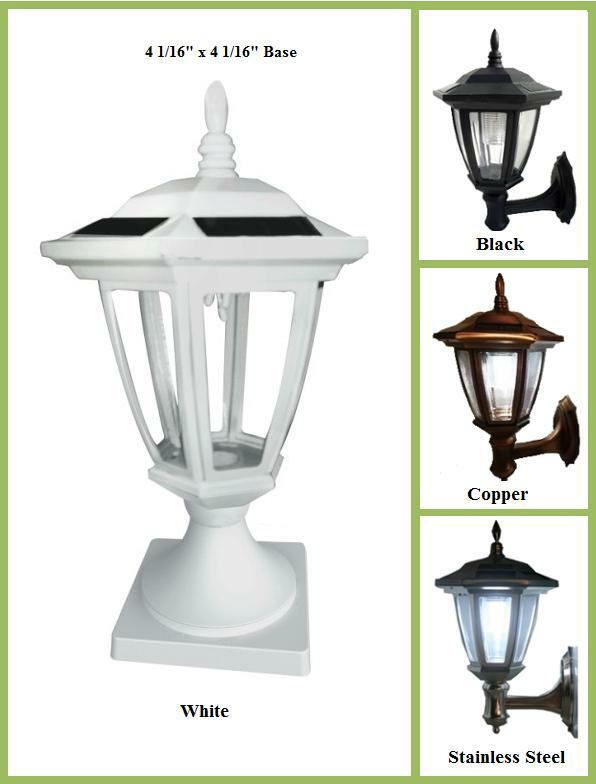 As night falls these solar lights will automatically illuminates providing a bright glow for your deck. 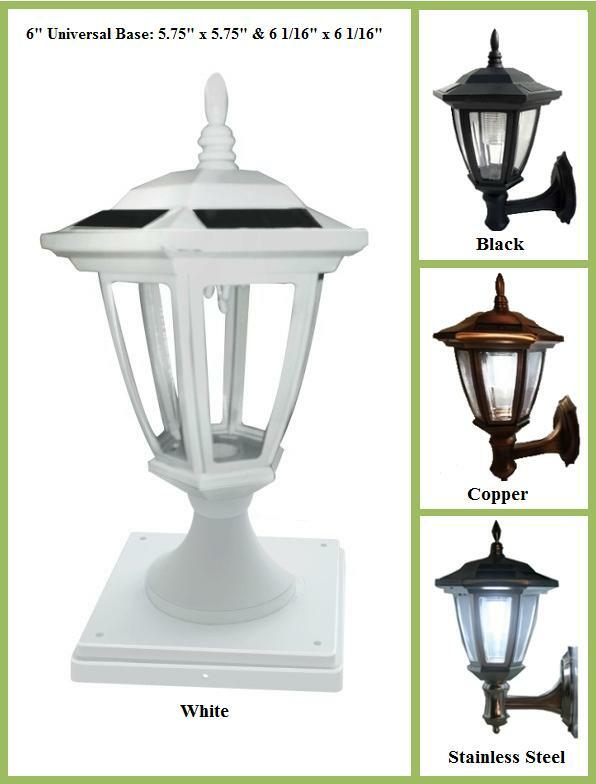 Easy to install, all you need to do is to choose either select the correct size base for mounting on your post or select the wall mount bracket for mounting on a wall. 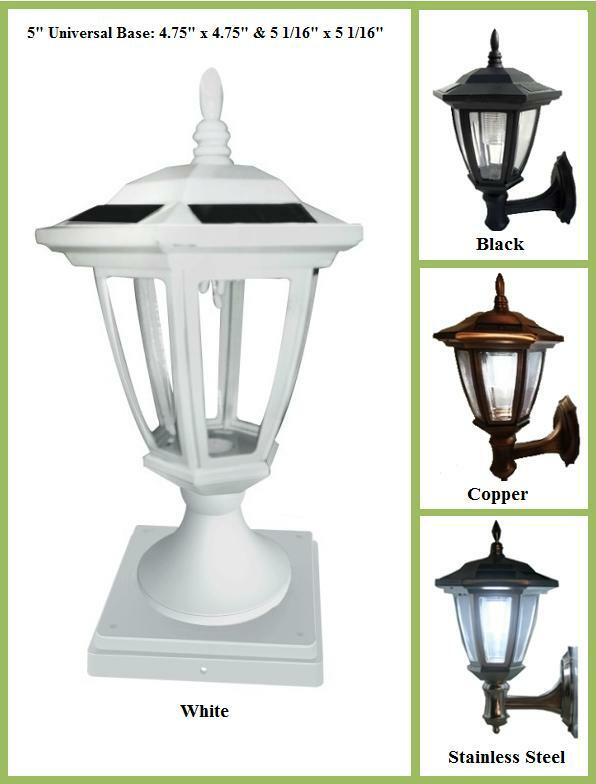 Choose from 4 colors: White, Black, Copper or Stainless Steel Finish. 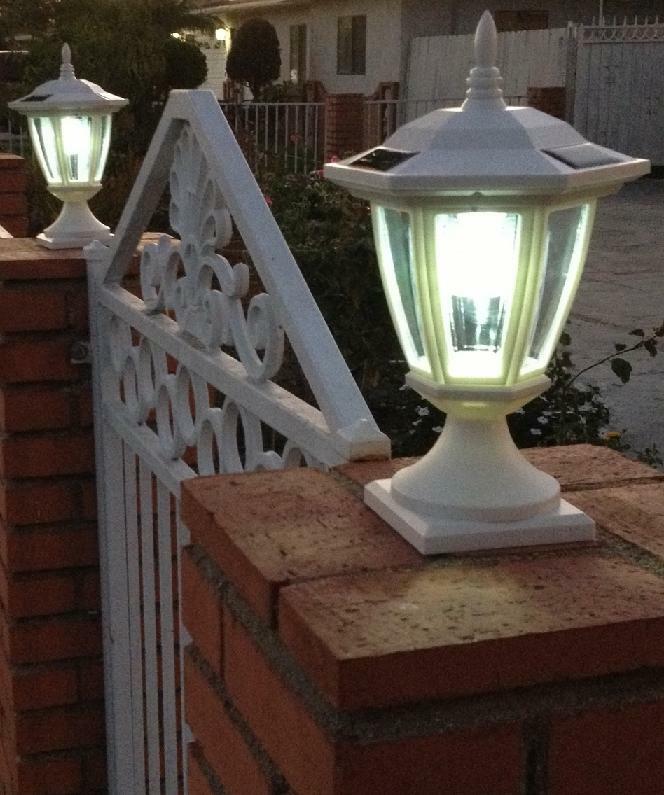 LED colors: White, Amber, Blue, Warm White or Green. Optional battery upgrade: 400mAH or 600mAH (adding approx. 2 more hours of illumination). 5" Universal Base Measurement: 5.75" x 5.75" & 6 1/16" x 6 1/6"
6" Universal Base Measurement: 5.75" x 5.75" & 6 1/16" x 6 1/6"